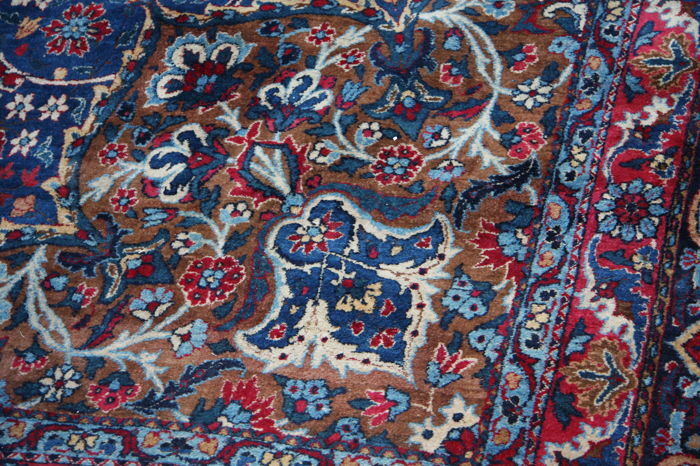 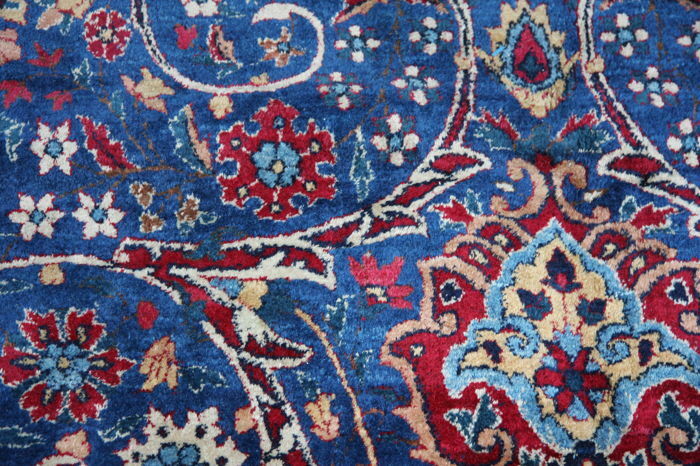 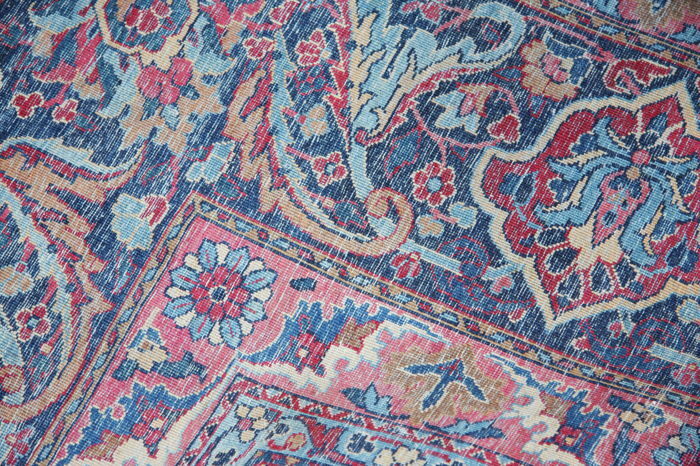 Old Persian Kashan blue rug circa 1940 belonging to the Cambridge university. 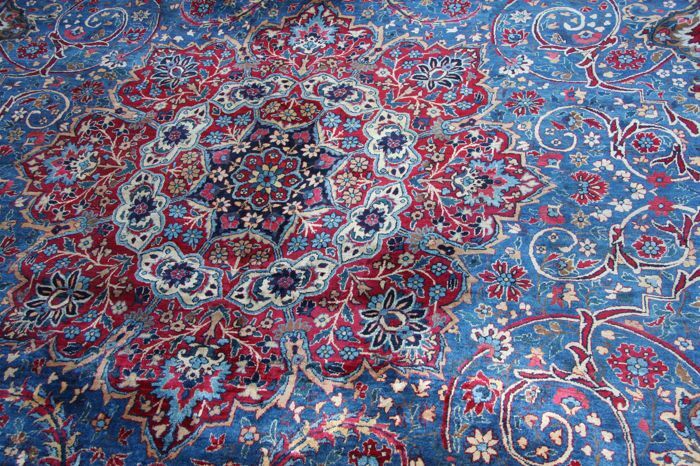 This is a handmade Persian Kashan room size carpet circa 1940. 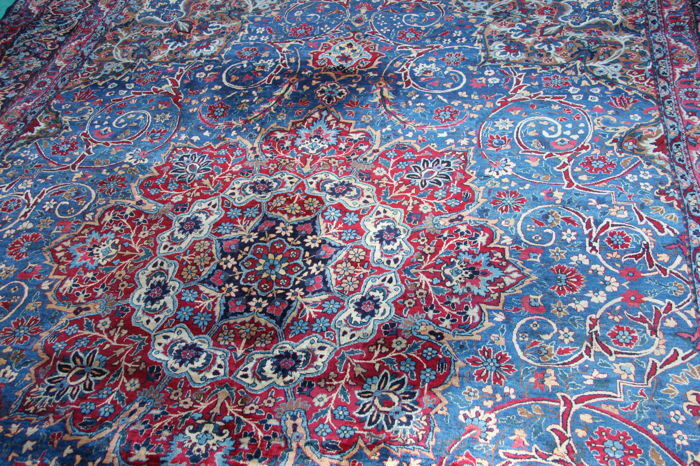 Measuring 400cmx300cm (13'x.8'), it has a beautiful central medallion decorated with foliage and vines in a sky blue field surrounded by similar motifs and floral objects in rich dark blue borders. 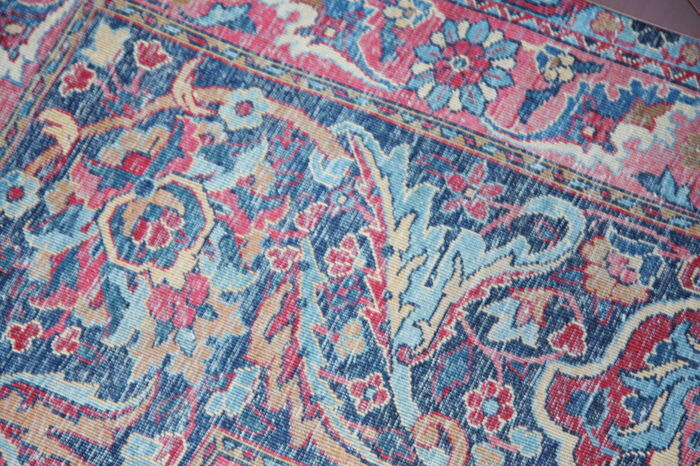 This rug was sourced from the University of the Cambridge and appeared to be used in one of their conference halls. 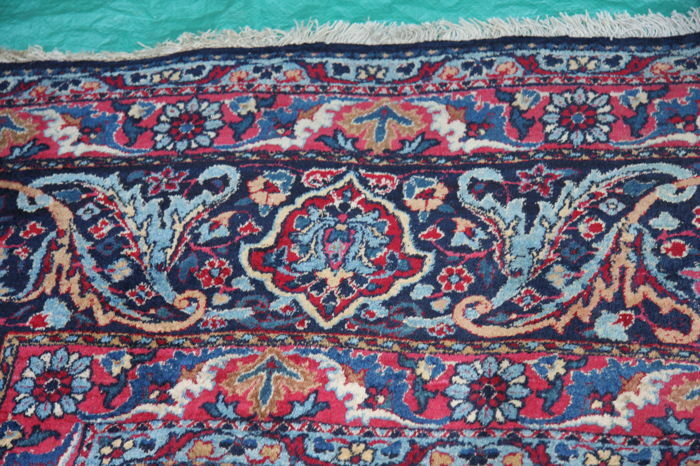 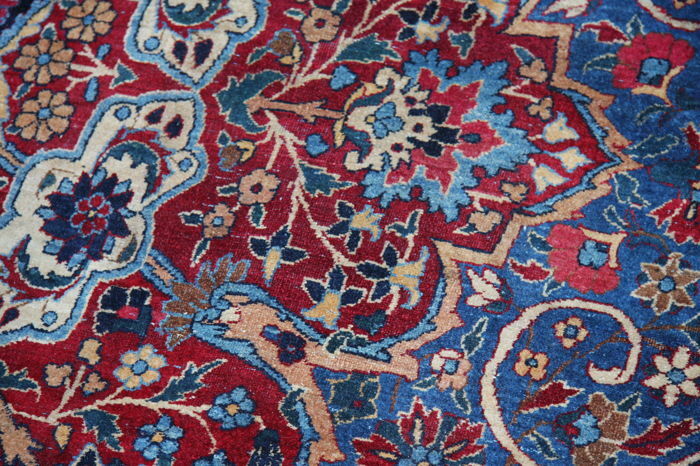 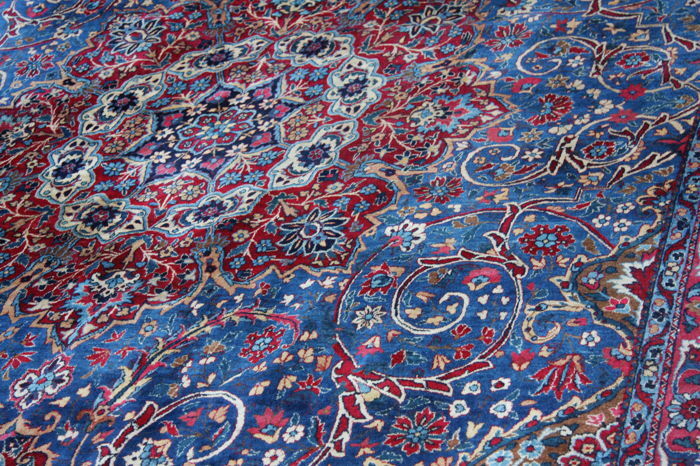 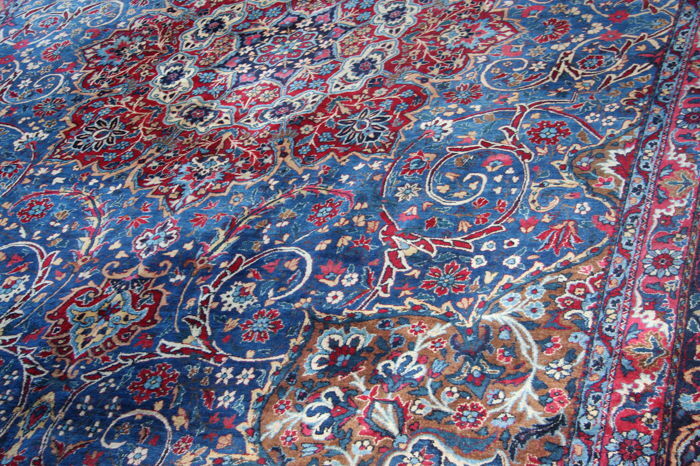 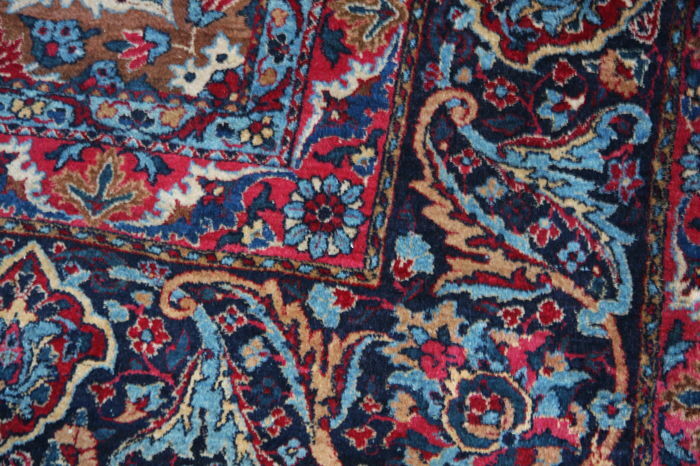 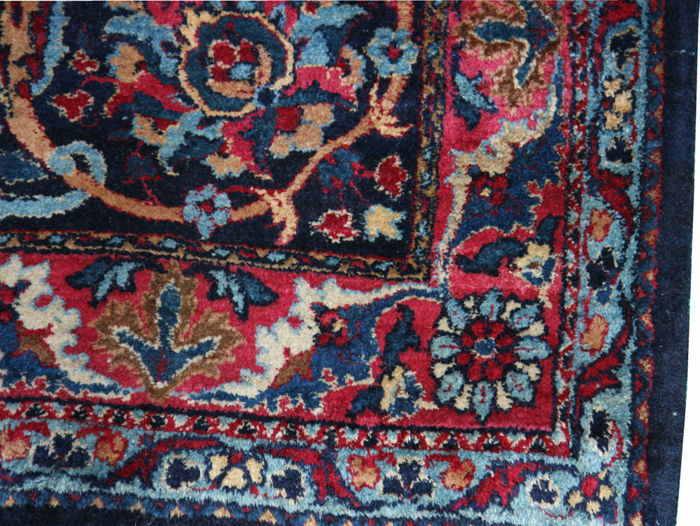 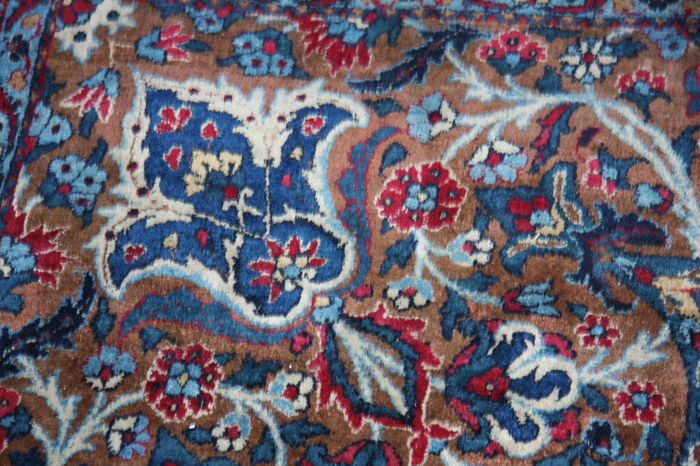 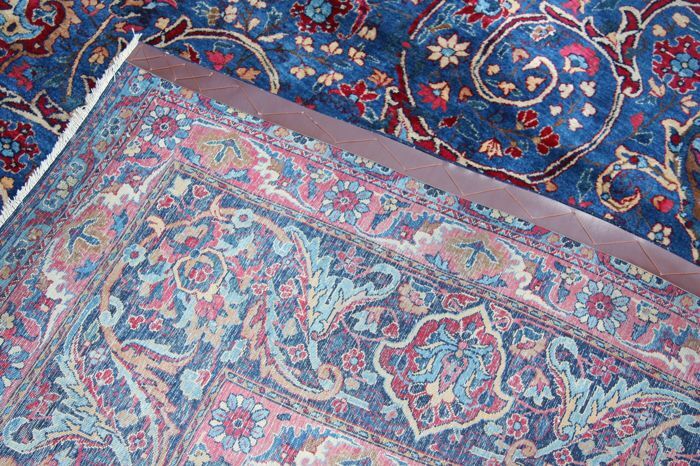 This rug has remarkably remained in good condition with vibrant blue colours and only needed professional clean and wash with both ends secured which have since been done. 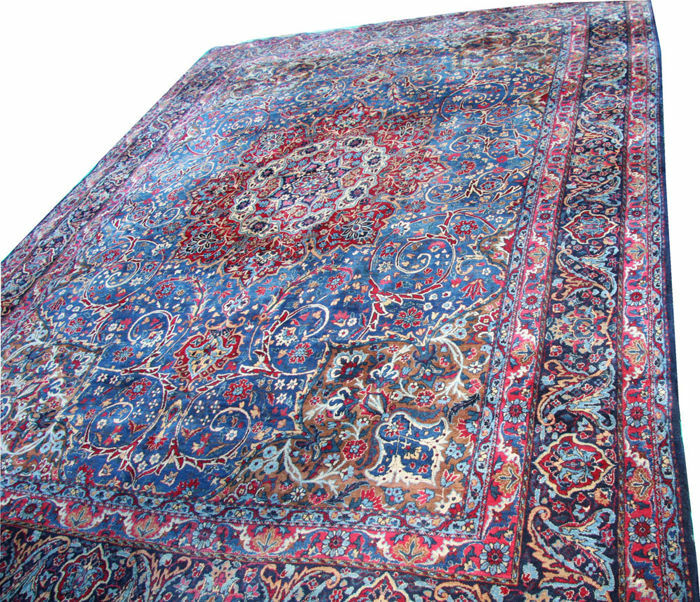 It is now ready to furnish your home. 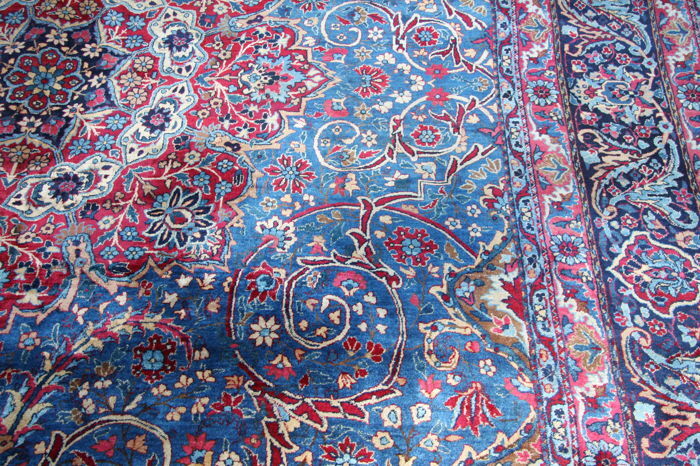 Vous pouvez également retirer ce lot chez le vendeur: London (), Royaume-Uni.